Duncan Lewis Solicitors are pleased to announce that Serious Fraud Solicitor Rajvinder Dayal has joined the firm’s Crime Department. Her portfolio of clients encompasses a wide range of offences from murder, high value serious fraud often involving issues of extraterritoriality. Duncan Lewis are proud to welcome Rajvinder. Legal 500 2014 recommended legal firm Duncan Lewis Solicitors are pleased to announce the appointment of Serious Fraud Solicitor Rajvinder Dawal to their Crime and Prison Law department as a Consultant Solicitor in the firm’s Harrow branch. Duncan Lewis is a leading provider of Crime and Fraud legal services. Rajvinder will be joining the firm’s existing 36 Crime Duty Solicitors in the firm’s General Crime and Fraud department which deals with high value cases over £100, 0000 often involving extraterritorial issues and restraint. Rajvinder joined Duncan Lewis in 2014 from a medium sized London based practice. Since then Rajvinder has continued to build her formidable reputation having been involved in some of the most serious fraud cases of recent times. Her professional expertise, dedication and unwavering commitment to defence work have won her a loyal client base. 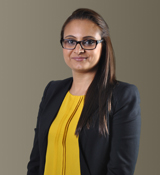 Rajvinder belongs to a small group of Solicitors who are not on the duty schemes as she has a strong client base, which crosses racial and geographical divides. Her work ranges from the North of England to the South West coast through to Cornwall. Rajvinder advises and defends in a broad spectrum of criminal and regulatory matters, including investigations and prosecutions by the Serious Fraud Office, the Financial Services Authority, the Crown Prosecution Service and Her Majesty's Revenue and Customs. Many of these cases possess international or multi-jurisdictional elements. Rajvinder has therefore developed a good knowledge of extradition law and frequently advises both UK-based and foreign clients resisting extradition to and from the United Kingdom. “I have known Rajvinder Dayal for a number of years through co-defending in various matters. I am pleased that she is now a valued member of the Criminal Team at Duncan Lewis, enhancing an already specialist team. Rajvinder brings to Duncan Lewis a loyal following she has established in Very High Costs Cases (VHCC), and Serious Crime. Rajvinder has been involved in a plethora of notable cases spanning across fraud, drugs, blackmail and violence. Rajvinder’s work is recognised by leading peers in the Crime and Fraud legal industry and she boasts an outstanding reputation backed by testimonials from a number of QCs. Rajvinder joins the team of Fraud Solicitors at Duncan Lewis with offices across London and the UK Nationwide. Duncan Lewis fraud solicitors are able to advise at any stage of a charge for fraud, including charges relating to financial fraud or boiler room scams. Established areas of law are: business immigration, child care, civil liberties, clinical negligence, community care, crime and fraud, dispute resolution, debt and insolvency, employment, family and divorce, housing, asylum and immigration, Islamic law, litigation, mental health, personal injury, prison law, professional negligence, public law and administrative law, regulatory matters and welfare benefits.